Today, we're introducing a brand new feature in response to popular request: Historical data! Today, we're introducing a brand new feature in response to popular request: Historical data! This oft-requested feature is now available directly through the web interface for all of our Guru and Enterprise-level users! To view any historical data for up to six months, simply select the drop-down box labeled "Actual" and change this to the desired historical period. 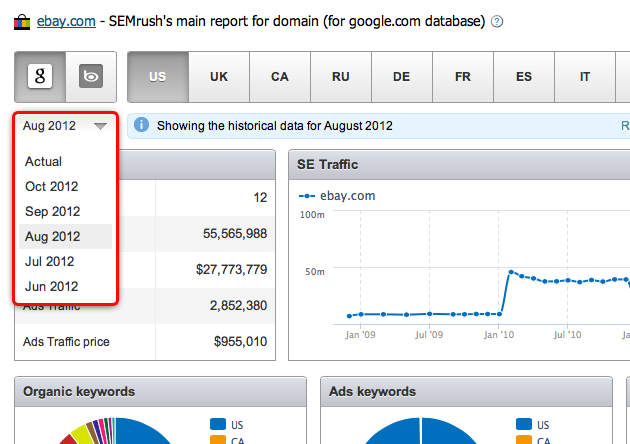 We've added a new charting feature to our Domain vs. Domain feature!